An interviewer asked me recently about the themes I most often employ in my writing, mentioning that love and family were central pivots around which both my novels spun. She wondered why those two themes so resonated with me, and I told her it was simply because they’re the most universal themes in all of life. Regardless of circumstance, ethnicity, social status, or any of the other qualifying ways in which we define and divide life, we all have family and we all want love. Even Edward longed for his Bella and he was a vampire! 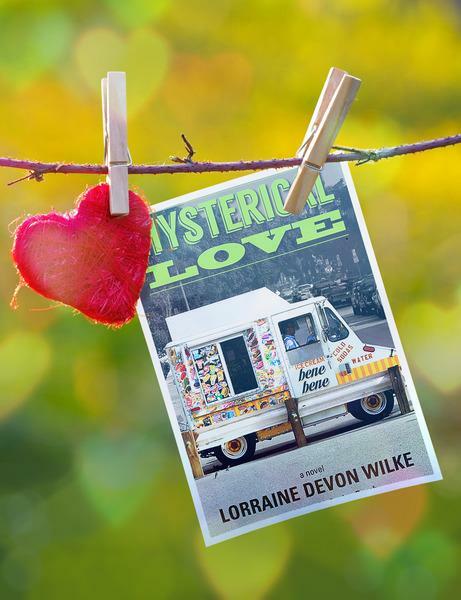 When I started writing Hysterical Love, my second novel, the story evolved in a way that made it a companion piece to my first, After The Sucker Punch. While very different stories in terms of tone, plot, storyline, and protagonist, both involve thirty-something people reacting to the words of their fathers. But where Tessa, of my first novel, was most involved in rediscovering who she was—and who she was to her deceased father—after reading his scathing journals, Dan’s journey in Hysterical Love is all about love, sweet, elusive, maddening love. And it’s an exploration of love on many levels: not just the heady lust and passion of new love that’s so often the driving force of drama, but the longer-term love of Dan’s three-year relationship with Jane (his very-soon-to-be-ex-fiancée); the lifetime love of his parents married for forty years; even the fleeting love of youth described in a fifty-year-old story written by his father. His roommate, Bob, revels in love’s abundance, his workmate, Zoey, can’t seem to find it, his sister, Lucy, is convinced it’s all about soul mates. But it’s when his father has a stroke and hovers near death, mumbling the name of the woman from the fifty-year-old story, that Dan is struck by the realization of another kind of love: love unrequited. Given the strains and struggles of his parents’ cranky, utterly unromantic marriage, the story of his father’s aching first love of fifty years earlier overwhelms Dan’s imagination. And when he hears his comatose father mumble the name of the woman from the story, he’s struck by an unrestrainable urge to go find her, convinced she holds answers to his many questions about love. So Dan sets off on an untimely and ill-conceived road trip to Oakland, CA, where the woman was last located, determined to change the course of his and his father’s lives. While on that tumultuous journey, he not only questions every aspect of his life, he’s faced with defining a whole new level of love when he meets the gorgeous, intriguing Fiona, a woman surely formed from someone’s fantasy. She appears as if sent from the gods to help in his quest and, in doing so, takes his breath away, forcing him to face his own definition of the elusive emotion. But it’s the one-two punch of the plot’s unfolding—the reality of the woman he’s searching for, and Jane’s unexpected arrival to win his heart back, that forces love, an urgent pull both life-giving and soul shattering, to be most deeply examined. For any adult who’s experienced the roller-coaster ride inherent in our human urge to connect and find affection, Dan’s story, and that of his parents, his fiancée, his workmates, his roommate, even Fiona, will surely resonate. He’s led to new thoughts, new realizations, and some painful, if undeniable, conclusions about the many faces love wears, and, in ways he couldn’t have imagined at the start of his story, he finds life altered accordingly. Gouged by Getty OR, Don’t Know Where That Image Is From or Who Took It? DON’T USE IT!